Steemit is the “Reddit of cryptocurrency”. Similar to Reddit, Steemit users can post their original content on the Steemit website and get voted up or down. Topics can be about anything from gymnastics to C++ programming. The difference is that Steemit users get paid for the content they create–the more upvotes a post gets, the more money its creator makes. Users who curate great content by upvoting on Steemit also get paid. Commenters get a share of the profits as well. The Steemit network is not regulated by any centralized entity–rather, it is self-governed by each user, who has the opportunity to upvote or downvote posts (like Reddit, but everyone is a moderator). It’s possible to mine Steem, but the most effective way to make money through Steem is to engage with the Steemit network itself as a user. There are three currencies that are used on the Steem network: Steem Dollars, Steem Power, and Steem. Steem Dollars and Steem Power both exist within the Steemit ecosystem, while Steem is bought on exchanges. Steem Power tokens are similar to stocks or bonds–owning Steem Power means that you own a piece of the Steem network. However, once you’re in, you’re in for a while–Steem Power tokens cannot be sold for two years, with the idea being that they will be worth much more after those two years have passed. If you’re interested in buying Steem Power, make sure you believe in the long-term potential of the Steem network. Steem Power holders are responsible for keeping the Steem network and Steem token value stable; as such, they are rewarded daily with Steem currency. 90% of new Steem currency goes to Steem Power holders, while the other 10% goes to content creators, curators, and commenters. Additionally, the more Steem Power that you hold, the more you will be paid for your interactions with the Steem network as a user–that is, your content will make more money; any content that you upvote as a Steem Power holder will also make more money. As a content creator, half of your earnings will be paid to you in Steem Power, and as such, cannot be “redeemed” for two years. The other half is paid in Steem Dollars. Steem Dollars are similar to Tether Dollars (USDT) in that they are a stable currency; they will never gain or lose their value, and they exist on a one-to-one ratio with fiat currency in the real world. So if you spend US$10 on Steem Dollars, you will have 10 Steem Dollars. As a content creator, half of your earnings will be paid to you in Steem Dollars. Steem Dollars can be sold at any time, but as an incentive to keep money in the network, holders of Steem Dollars will make 10% interest. Steem Dollars can also be traded in for Steem Power. Steem tokens themselves are what you buy on exchanges, similar to the way that you would buy Bitcoins. The Steem token is what gives value to Steem Dollars and Steem Power, which only exist within Steem’s network. When you’re investing in Steem, you have the option of purchasing any of the Steem currencies. However, STEEM tokens are the only ones that can be purchased on exchanges, similar to the way you would purchase Bitcoins. The Steem platform has an online wallet that can be accessed on the Steemit platform. You can use it to store and purchase any of the Steem currencies. For STEEM tokens, the CLI Wallet was the original Steem wallet, but requires a bit of technical know-how. eSteem is a mobile option for holding STEEM; Vessel is the full-node desktop wallet that can be used to mine Steem tokens. Busy is another online Steem wallet that is currently in its beta phase. Piston is a python-based library that can be used to interact with the Steem platform. Steem is available for purchase on Bittrex, Bitwala, Blocktrades, Changelly, HitBTC, Living Room of Satoshi, Openledger, Poloniex, and Shapeshift. Currently, a single Steem token is valued at US$1.64. There are 240,732,173 STEEM tokens in circulation, with roughly 17 million more in the total supply. Its market cap is US$395,157,047. Steem is a coin that shows promise in that its network is being widely used as a social media platform. However, some of its other aspects make it a mixed bag in terms of its potential as an investment. 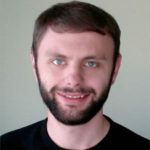 Steem and its CTO, Dan Larimer, have been the target of some criticism. Tone Vays, a developer formerly affiliated with some of Dan Larimer’s other projects, has critically pointed out the “ponzi scheme aspects” of Steem–specifically the Steem Power tokens, which can only be “cashed out” after they have been held within the network for two years. Vays has also gone on the record as saying that some of Dan Larimer’s other projects have been engineered to benefit a small group of insiders using the Proof-of-Stake algorithm; essentially, the network can be manipulated to print out an unlimited number of Steem tokens for a small group on the inside of a currency. 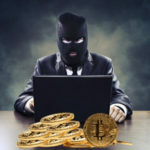 Steem also faced some trouble when its value dropped a whopping 97% after a hack last Autumn, which raised some serious questions about Steem’s security. Steem has since begun its recovery, but has yet to return to its all time high of ~US$4.30. That being said, using the Steemit network as a content creator or curator is a low-risk way to get familiar with the Steem platform. Steem has a ways to go before investors can put their full trust into the coin’s future; however, the value of a single Steem token is low enough that a small investment could potentially produce a high return.